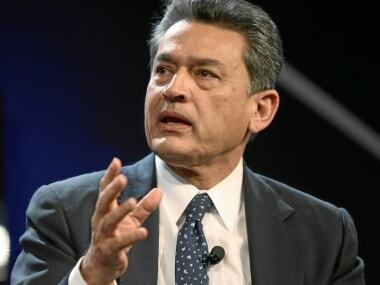 New Delhi: Rajat Gupta, one of the most prominent members of the global financial elite until he was convicted of insider trading in 2012, has revealed he was kept in solitary confinement for weeks during his incarceration in an American federal prison. Gupta, who ran the global management consultants McKinsey for nine years and was on the board of investment bank Goldman Sachs, said he was twice placed in a “special housing unit” — a euphemism for solitary confinement — at the Devens Correctional Facility in Ayer, Massachusetts. The first time was only for a week but the second time he had to spend seven weeks there. And after that, Gupta said, he was transferred to a higher security federal prison on an adjoining site because prison officers decided he wasn’t suitable for a camp-type lockup because of his “poor living skills”. There he joined more violent offenders for the final eight months of his time in jail. Altogether, he was locked up for 19 months before being released in January 2016. India-born Gupta, now 70, disclosed his ordeal in his autobiography, Mind Without Fear, which was published this week, and in an interview with Reuters in New Delhi. A representative of the US Bureau of Prisons declined to comment on Gupta’s claims. Gupta said when he was taken to the special housing unit the first time, he was handcuffed, strip-searched, given a special orange uniform to wear, called “the bad guy” by prison officers, lost access to almost all his possessions (such as a music player), and denied almost all access to visitors. On the second occasion, his visitation rights were taken away for 60 days – more than the whole length of the solitary confinement. Gupta said the first episode of solitary occurred because he bent down to tie his shoe lace just as the prison officer did one of the daily stand-up counts of prisoners. The second because he had created a pillow for his sore back by sewing together two towels and thus created an unauthorised object regarded as contraband. Exercise during those weeks in solitary consisted of walking around a cage thirty feet by 10 feet once a day. There was also the chance of a few muttered greetings to other inmates walking the cage. “I followed the rules as best I could, but I didn’t walk around like a repentant criminal. I felt more like a political prisoner,” Gupta says in the book of his relatively harsh treatment. He says it was only by persuading guards not to take away his copy of the ancient Hindu holy book, the Bhagavad Gita, with its teachings on ethical dilemmas and the path to salvation, that helped keep him sane. Gupta, who was found guilty by a New York jury of providing boardroom secrets he learned at Goldman to hedge fund manager Raj Rajaratnam, still insists he is innocent of the charges under which he was convicted. Rajaratnam was locked up in the same higher security prison as Gupta after being convicted of securities fraud and conspiracy and the two met and even played cards and chess together there. Gupta said his father was a political prisoner during India’s fight for independence from colonial ruler Britain. Ashwini Gupta was locked up repeatedly, beaten in jail until his flesh split open and lost one of his lungs to tuberculosis after being put in the same cell as an infected prisoner, according to Rajat Gupta. He said he thinks his father “would have been proud of the way I behaved in prison”. But was Gupta himself too proud? And did this make his sentence tougher than it might have been? “Perhaps,” he acknowledges. He said that he never heard his father “express a hint of bitterness or resentment towards the British” and Gupta said he was determined to be free of anger towards those whose actions had led to his imprisonment. In his book, though, Gupta very much divides the world into individuals and organizations who supported him through his roughest days, and those who acted against his interests or simply stopped taking his phone calls. There were plenty on both sides of the ledger.